When a process allocates memory it is supposed to de-allocate it and release it back to OS. If it misses to de-allocate the memory due to flaw in code it is called as leak and It can cause memory pressure both to the operating system and application. SQL Server memory management is designed to dynamically grow and shrink its memory based on the amount of available memory on the system and Max server memory setting in SQLServer. Many times system admins look at the memory usage of SQLServer and assume SQLServer is leaking memory if they find SQL Server memory usage is high. This is incorrect SQL Server is server based application and its memory manager is designed in such a way that it will keep growing its memory usage on need (Exception large pages) and will not scale down its usage unless there is low memory notification from Windows. We can control the memory usage of SQL Server using Max server memory setting in SQLServer. This setting limits the Bpool usage of SQL Server and doesn’t control the overall memory usage of SQLServer. There are portions of SQLServer memory that is allocated outside BPOOL (aks: MTL or MTR) we do not have a way to control how much memory SQL Server can use outside bpool, but non bool memory usage will be normally low and can be easily estimated by studying the components running in SQL Server. Ex: If you want to set SQLServer to use only 10GB RAM on server. Consider how much memory SQL Server might need outside Bpool and set the “max server memory” setting accordingly. In this case if you estimate SQL Server will use 1.5GB outside Bpool then set the Max server memory to 8.5GB. What can cause SQL Server Memory leak? SQL Server code has a logic to allocate memory but doesn’t de-allocate it. If any of the components in SQL Server is causing a memory leak in SQL Server it can be identified easily using the DMV’s like sys.dm_os_memory_allocation,sys.dm_os_memory_clerks and sys.dm_os_memory_objects etc., but most of the memory leaks in SQL Server is caused by 3rd party Dll’s which are loaded in SQL Server process. Below query can be used to determine actual memory consumption by SQL Server in MTL. If the memory consumption by SQL Server is very low and still if you see SQL Server memory errors like few below then focus on Leaks. WARNING: Failed to reserve contiguous memory of Size= 65536. WARNING: Clearing procedure cache to free contiguous memory. SQL Server could not spawn process_loginread thread. How to identify and troubleshoot the memory leak? 1. Windows debugger 2. Debug diagnostics tools for windows and 3. UMDH in this blog. 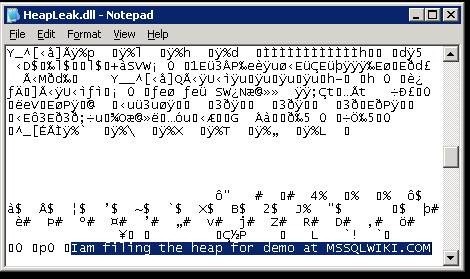 Let us create a sample DLL to load in SQL server process to leak memory and see how to use the tools I mentioned above to troubleshoot the leak. Download HeapLeak.dll from This link and install Microsoft Visual C++ 2010 Redistributable Package from this links 32-Bit or 64-Bit to make this DLL work. We will also enable below trace flags in SQL Server to automatically generate filter dump when there is out of memory errors and see how to identify who is leaking. 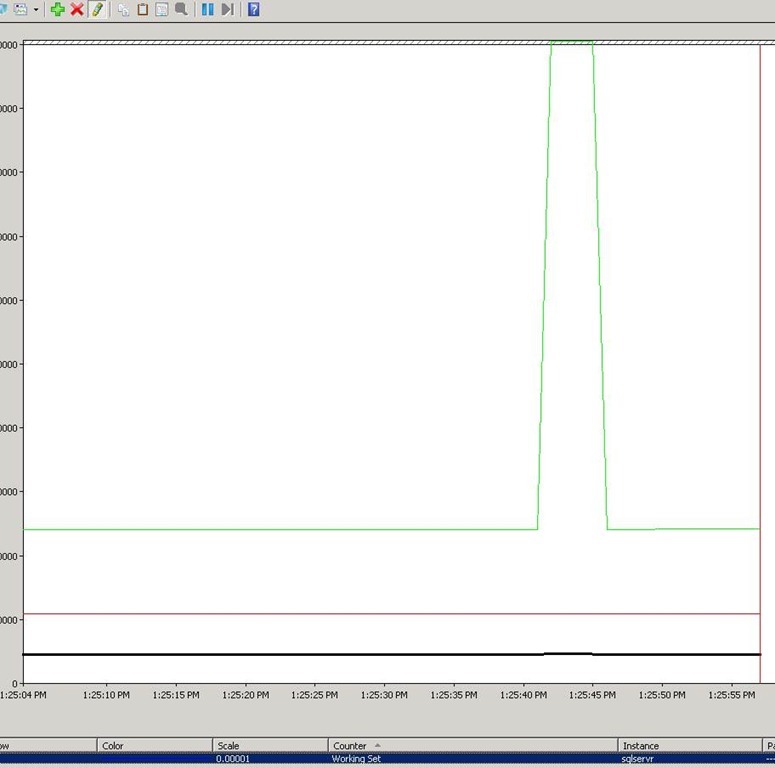 dbcc traceon (2551,-1) — 2551 is used to enable filter dump. Once we enable the trace flag . 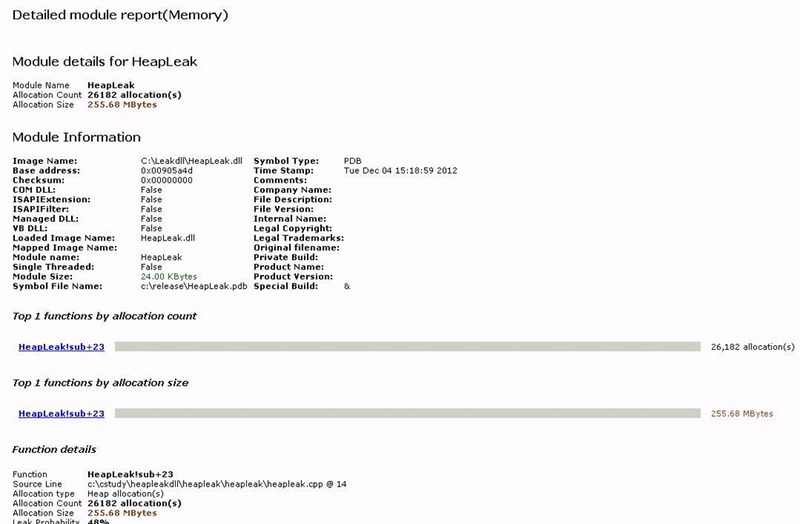 We have to cause out memory error in SQL Server to generate OOM memory dump. 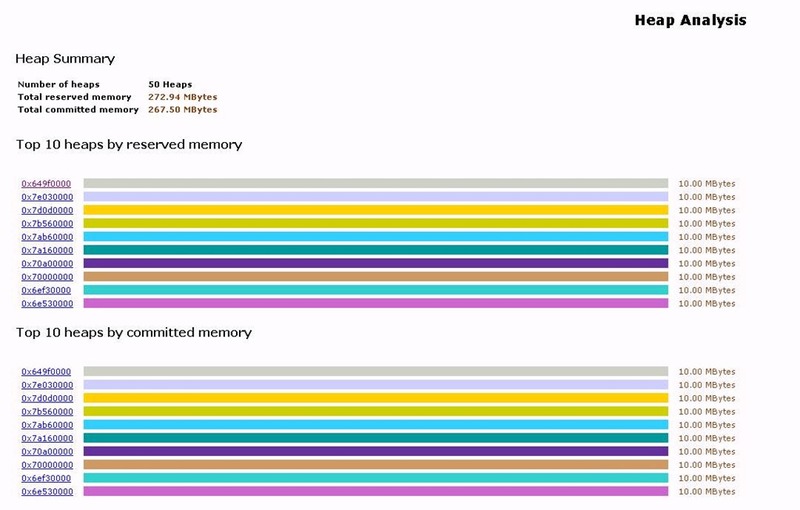 We have leaked around 300 MB of memory from MTL by executing above extended SP 30 times. Let use execute below script which create XML handles. Memory for xml handles is allocated from MTL we will get out of memory errors very soon because extended stored procedure which we executed has already leaked the memory. Note: 1. SQL Server memory dump will be generated in SQL Server error log folder. 2. Size of MTL is 256 MB + Max worker threads *.5 in 32-Bit SQL Server. So approximately 384 MB unless modified using –g switch. We will receive below error after few executions. XML document could not be created because server memory is low. Note : You will find SQLDump000#.mdmp in your SQL Server error log when you get the Exception or assertion. LegalCopyright: © Microsoft Corp. All rights reserved. Use !address command to display the memory information of the process from dump. Look at the RegionUsageHeap it is around 297792 KB and largest free region is just 64KB. We know SQL Server doesn’t use Heap’s extensively so normally the heap allocated by SQL Server will not go beyond few MB. In this case it is consuming around 290 MB and so other components which use MTL can easily fail. Let us try to understand why the Heap is around 297792 KB and try to identify if there is a pattern. If you look at the above out put you can clearly identify a pattern. There are multiple created and each of them is 10 MB. But how to identify who actually created them? Heap I have picked is 63830000. 641b66c8 49 2e 43 4f 4d 00 00 00-00 00 00 00 00 00 00 00 I.COM………..
641b66d8 00 00 00 00 00 00 00 00-00 00 00 00 00 00 00 00 ……………. 641b66e8 00 00 00 00 00 00 00 00-00 00 00 00 00 00 00 00 ……………. 641b66f8 00 00 00 00 00 00 00 00-00 00 00 00 00 00 00 00 ……………. 641b6708 00 00 00 00 00 00 00 00-00 00 00 00 00 00 00 00 ……………. 63830678 49 2e 43 4f 4d 00 00 00-00 00 00 00 00 00 00 00 I.COM………..
63830688 00 00 00 00 00 00 00 00-00 00 00 00 00 00 00 00 ……………. 63830698 00 00 00 00 00 00 00 00-00 00 00 00 00 00 00 00 ……………. 638306a8 00 00 00 00 00 00 00 00-00 00 00 00 00 00 00 00 ……………. 638306b8 00 00 00 00 00 00 00 00-00 00 00 00 00 00 00 00 ……………. Similarly you can dump multiple heap allocations to identify a pattern. Yes there is which proves that this DLL’s has caused the leak. In real time you may have to play with different heap allocations to identify the pattern. This is one way to find the leaks from the memory dump after the leak has actually happened. It may not be always easy to find a pattern and identify the modules who allocated the memory, In such scenarios you may have to track the leak using the tools like debug diagnostic tool, UMDH etc.In the my next blog I will post how to track memory leak using Debug diagnostics tool. Before we understand the RESOURCE_SEMAPHORE_QUERY_COMPILE let us see what is compile memory. Compile memory: When a query is compiled in SQL Server, the compilation process needs memory (for parsing, algeberaization and optimization) called compile memory. This memory doesn’t include the memory required to execute the query. Challenges with Compile memory: This memory used for Query compilations are usually expected to fit into SQL Server main-memory and to be relatively short-lived. Like any other consumers of Bpool, this is implemented by “stealing” pages from the Buffer Pool and hence it blocks other memory consumers from using that memory until a query compilation completes. 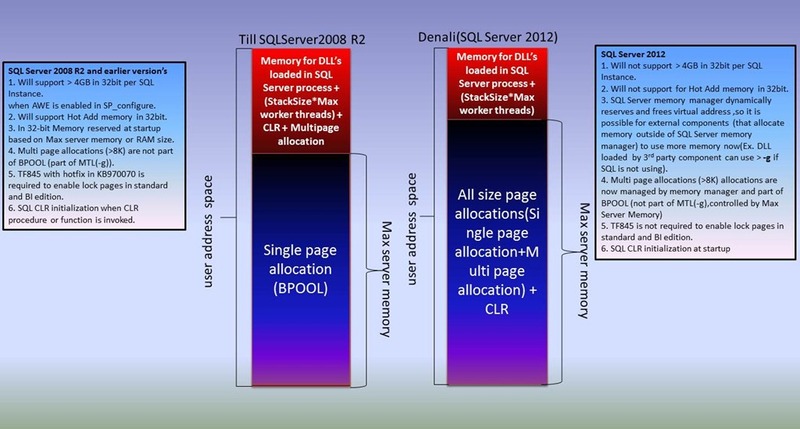 Even if the SQL Server has enough memory to service multiple simultaneous query compilation, allowing all of them to occur at the same time might lead to stealing a significant number of pages from the buffer pool, with consequent increased physical IO , poor performance of query execution and causing memory pressure within SQL Server. However on the other side, a throttling mechanism that is too restrictive could lead to a non-optimal usage of the system resources and decreased throughput for compile intensive workloads, So SQL Server came with more dynamic approach to solve the problem which is to better manage system resources, memory in particular. Such management should hence be based on and driven by the amount of memory used. Assume SQL Server Max server memory is set to 1000MB and Currently data /index pages is consuming 800MB with in Max server memory (bpool) and 3 queries are reaching SQL Server for compilation, each of them requiring 300 MB for compilation. If all three queries are compiled simultaneously total compilation might take 900MB of memory causing all the data and index pages to be dropped from BPOOL causing consequent increased physical IO and poor performance of query during execution(to bring data pages back to memory). On the other hand let us assume each of this 3 queries need only 2 MB of compilation memory, There is no reason for SQL Server to throttle the number of compilation. To overcome above challenges SQL 2005+ throttles the number of concurrent compiles that can happen at any time based on memory usage during the compile. SQL Server memory grant is controlled by a object called “Resource Semaphore” and has internal mechanism to detect how much memory has been used by each compile. There are three gateways (semaphores) called the small, medium, and big gateway. When a request is received for compilation SQL Server will start compilation. There is no limit on how many queries can be compiled simultaneously, but when memory usage for a query reaches the threshold for a given gateway it will then acquire that semaphore of next gateway before continuing. The semaphores (Queries which can be compiled concurrently) are set up to allow 4*schedulers count for the small gateway, 1*schedulers count for the medium gateway and 1 (per SQL instance) for the big gateway. The small gateway has a fixed threshold for how much memory must be consumed before you enter it. The medium and big gateways have dynamic thresholds that vary depending on how much memory is available, how much is stolen, etc. If the semaphore can’t be acquired then you see this wait type (Query is waiting for memory grant to compile a query = RESOURCE_SEMAPHORE_QUERY_COMPILE wait). This behavior lets SQL Server to allow only a few memory-intensive compilations occur at the same time. Additionally, this behavior maximizes throughput for smaller queries. How to identify RESOURCE_SEMAPHORE_QUERY_COMPILE waits? In this case you will see thresholds for medium and big gateways very low. In this situation you have to identify who is consuming most of stolen memory and tune them to increase the available memory or add additional memory that can used by SQL server. 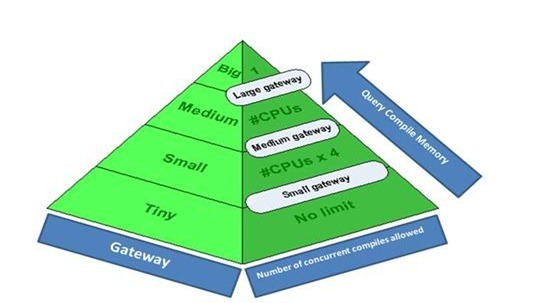 When the available memory decrease, threshold for medium and big gateways would decrease significantly and increase the number of queries which have to enter medium /big gateways, So the number of parallel compiles will decrease increasing the overall wait time. This DBCC memory status output is from system which has 48 processor and has excessive RESOURCE_SEMAPHORE_QUERY_COMPILE waits because of memory pressure. Available Units 0 //There is no available slots. All slots are busy. 2. There is huge amount of available memory but the available units in gateway is exhausted. This situation normally occurs when we have many queries that have high compile time and use lot of memory for compilation. Compile time and Compile memory can be captures using the show plan XML for query compile event in profiler. Below is extract from show plan XML for query compile event in profiler. This query has used approximately 150 MB of compile memory and the threshold for Big gateway is around 143 MB . So only one query which needs more than 143 MB can compile at a time , This can cause contention when there are multiple queries waiting for compile/recompile. Also an important factor to notice in this XML plan is compile time is ~139 times the CPU. So likely this query waited for most of the time for resource semaphore. How to fix RESOURCE_SEMAPHORE_QUERY_COMPILE waits? 1. Add additional memory to SQL Server. 2. Reduce the number of compile and recompiles happening in SQL Server. 3. Threshold for the gateways are dynamic (except for small gateway) and therefore memory pressure occurs from other sources (Internal to SQL Server or system wide) reduces the amount of memory available for compiles and Queries are throttled to higher gateways sooner. Make sure SQL Server is not starving for memory. 4. Identify the queries which are consuming large compile memory and tune them (CompileMemory in show plan XML query compile can be used). 5. RESOURCE_SEMAPHORE_QUERY_COMPILE waits are very common in 32-bit SQL Server because of virtual address space limitation, so migrate to 64-Bit SQL Server. Do you know that adding additional RAM can affect the performance of SQL Server Sometimes? I am not going to write how Optimizer can some times choose suboptimal plans when we have large amount of memory on the system but We will see how the memory which can be used by other memory clerks (aks: stolen memory) can shrink when we have large physical memory and AWE enabled. If you notice performance of 32-Bit SQL Server degraded after you added additional RAM or if you see SQL Server memory errors like ones below after adding RAM then it could be because of Large BUF structures which reduced the size of Bpool. BPool::Map: no remappable address found. Size of MemToLeave (MTL) and Buffer Pool (BPool) is determined by SQL Server during start up as below. MTL (Memory to Leave)= (Stack size * max worker threads) + Additional space to load Dll’s. Note: Additional space to load Dll’s can be modified using -g startup parameter. When AWE is enabled in 32-Bit SQL Server M_pbuf (part of BUF structures) which is mentioned earlier is calculated and allocated for entire physical memory on the system . Regardless of “MAX Server Memory” This is to adjust Max server memory without restarting SQL Server. SQL Server requires 8MB to create M_pbuf for every 1GB of RAM available on the server. Machine with 64 GB RAM can consume 64 (RAM) *8MB (M_pbuf for each GB) =512 MB just for the BUF array alone. So the amount of BPOOL available for SQL Server is adversely affected. Going back to the previous formula for BPOOL. Size of Bpool for 32-Bit SQL Server with AWE enabled and 64 GB of RAM would be. Bpool would approximately become 1GB. 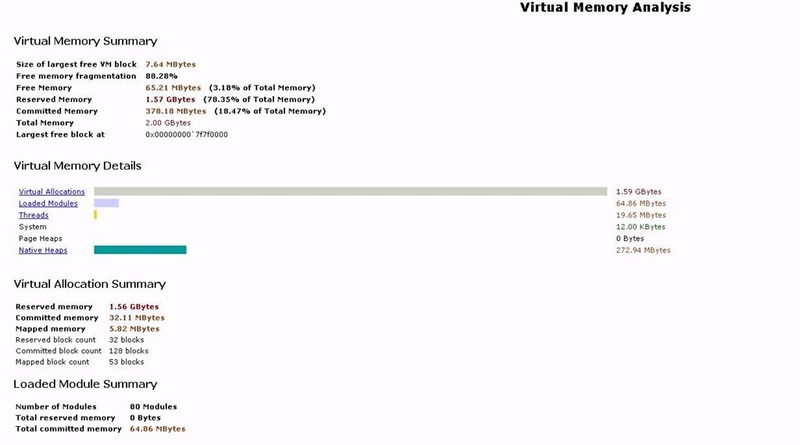 Since size BPOOL become very small we might end up with memory errors. Note: In 32-Bit SQL Server Only data pages an index pages can be placed in AWE memory. So the memory available for other SQL Server memory objects is still limited to BPOOL and MTL. Remove few GB of RAM from server J if you can convince your management that removing RAM will improve performance. There is a startup trace flag TF 836 which you can use to indicate that BUF’s need to be allocated only for the configured max server memory setting. 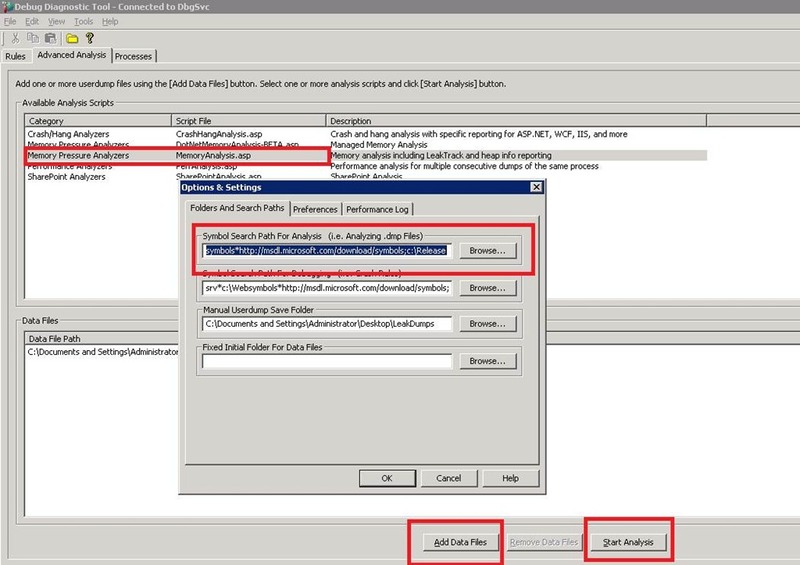 Enable this Trace Flag (836) and Reduce the “MAX Server Memory” of SQL Server. Enable /3GB. This will increase the Size of SQL Server BPOOL by 1GB providing relief to SQL Server BPOOL pressure. Note: When the physical RAM in the system exceeds 16 GB and the /3GB switch is used, the operating system will ignore the additional RAM until the /3GB switch is removed. SQLServer2005 caches temp tables and temp variables only under some conditions. 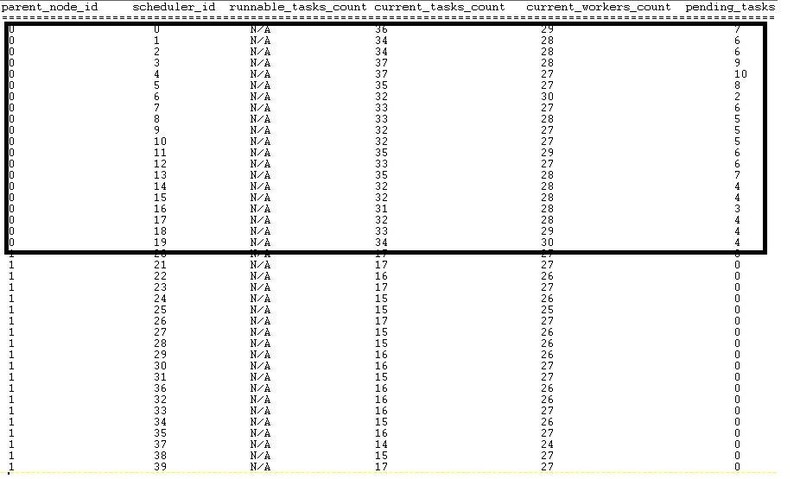 Scenarios where temp table/variable are not cached (see below) may cause performance degradation as compared to SQLServer2000. 6. table variables are also not cached for dynamic SQL. What are some of the drawbacks of table variables? Table variables do not maintain statistics like temporary tables can. Statistics cannot be created on table variables through automatic creation or by using the CREATE STATISTICS statement. Therefore, for complex queries on large tables, the lack of statistics may deter the optimizer to determine the best plan for a query, thus affecting the performance of that query. The table definition cannot be changed after the initial DECLARE statement. Tables variables cannot be used in a INSERT EXEC or SELECT INTO statement. CHECK constraints, DEFAULT values, and computed columns in the table type declaration cannot call user-defined functions. a sp_executesql stored procedure would be outside the scope of the table variable. variables local scope is in the EXEC statement or the sp_executesql stored procedure. are maintained in a database that resides on the physical disk and also logged? created and processed while in memory (data cache). Do I have to use table variables instead of temporary tables? The number of rows that are inserted to the table and are they joined with other tables. The number of recompilations the query is saved from. The type of queries and their dependency on indexes and statistics for performance.